Nobel Prize-winning economists Franco Modigliani and Merton Miller stated that, in a perfect world with perfect capital markets, a business’s capital structure does not matter. As every entrepreneur learns, however, we don’t live in a perfect world. 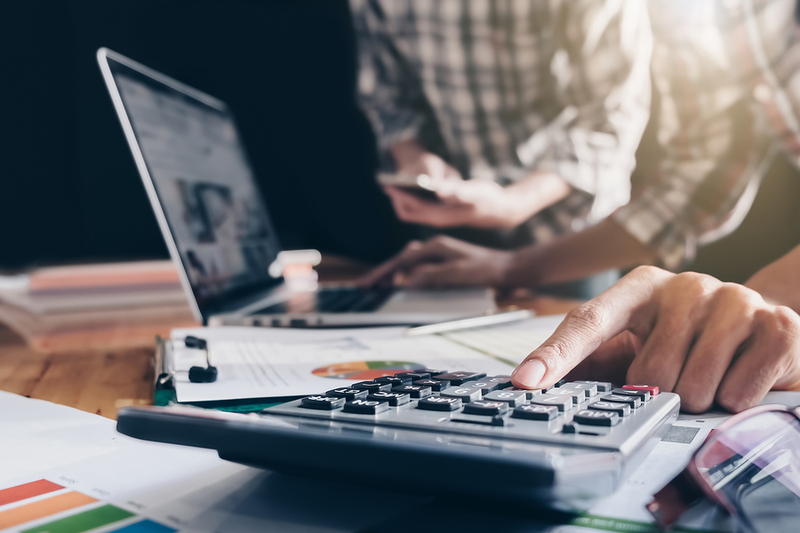 The real world is fraught with complications, but that doesn’t mean the principles we learned in our corporate finance classes can’t be applied to our businesses. So, is it better to fund your business with debt or equity? As is often the case in a world of trade-offs, the answer lies somewhere in the middle. How much debt is too much for your small business? To understand the productive benefits of debt, you need to understand the concept of leverage. Governments commonly issue debt to pay for large-scale projects like bridges and tunnels. These projects can cost hundreds of millions of dollars, sums that only the largest metropolitans might have on hand, and most would be loath to spend all in one place. How would they be able to cover costs with money they don’t have? Through leveraged borrowing, most governments will borrow this money with the promise to pay back lenders over time. By borrowing money to fund infrastructure projects, these governments are effectively using leverage to grow. While you may not be constructing a bridge, the concept is similar when scaled down to the small business level. You identify a profitable growth opportunity, but you do not have the capital to fund it. By financing it with debt, which can be paid back over time, you temporarily increase your business’s capacity to grow by borrowing against future income. Ideally, this allows your business to expand, which pays dividends over time. Too much debt can also have its pitfalls. Continuing our municipal analogy, bankruptcies in Detroit and Puerto Rico show the dangers of what too much debt can do to any entity. Below, we list some of the downsides to excessive debt financing. Debt financing, if done properly, improves your company’s capacity to produce but also makes your business riskier to invest in. This is because when your business borrows funds, it increases its leverage. In the world of finance, the more leveraged a business is, the more creditors lay claim to its cash flows, and the more prone that entity is to bankruptcy. The credit agencies employ a similar approach to evaluating you and your business. This is why, holding all other things constant, excessive debt results in lower credit scores for you and your business. This can be taken to the extreme when major Wall Street banks like Lehman Brothers Holdings increased their average financial leverage ratio—a company’s ratio of debt to equity—from 12-to-1 in 2004 to 31-to-1 in 2007. Over that period, Lehman Brothers had posted three consecutive years of record profits, and the firm was worth a record $60 billion in early 2007, thanks to its use of leverage in profit generation. However, by the end of 2008, Lehman Brothers’ credit quality deteriorated due to its overleveraged investments in risky assets and loss of confidence from the financial markets. Moody’s Investors Service Inc., which rated Lehman Brothers an A1 low credit risk in late 2003, downgraded Lehman Brothers to a B3 junk status. By this point, previously available lines of credit were pulled as lenders moved to protect their interests. In the eyes of its creditors, Lehman Brothers lacked the cash to cover its liabilities and was too risky to lend to. Previously loyal customers refused to do business with Lehman Brothers, and its access to funding dried up. Lehman Brothers filed for bankruptcy shortly afterward. This illustrates the double-edged nature of leverage. It can help your business grow, but only to the extent that your business can cover its debts. When your business is more leveraged, future creditors are less inclined to lend to your business, and may only do so at higher interest rates. Consequently, if you continually increase your borrowing without paying off existing debts, subsequent rounds of borrowing may become progressively more expensive. Since you’ve left home, graduated college and started paying rent, what has stayed constant over time? Most will agree that it’s the pileup in bills. Assuming your revenues stay constant, the more debt you accrue, the less cash you have left after paying creditors. Even if the borrowed funds are invested in a highly profitable venture, that investment may not begin generating revenues for months or even years. Meanwhile, most lending institutions will require you to begin making installment payments right away. High-revenue investments are no good if your business isn’t able to cover its operating costs in the short run. Too much debt ties up your monthly cash flow, which might be needed elsewhere. Are you able to cover your installment payments after covering operating costs and overhead? Will you have enough cash to cover your monthly payments during dry seasons? It’s important for your business’s monthly cash flow to keep pace with increases in debt. This is especially important if your business operates seasonally or has customers that make delayed payments. It only takes one missed payment to default, regardless of how profitable you are during the rest of the year. For most businesses, your risk ends with the funds that you invest. Assuming no leverage, if your business goes belly up, the most you could lose is the money you put into it. With debt financing, your liability may not end there. Debt financing from a failed venture can follow you long after your business closes its doors. Collateral: Some sole proprietors and partners may choose to secure their business loans with a vehicle title, savings account or mortgage (you can read more about how much collateral and what types of collateral lenders require here). If your business fails, your creditors have the right to repossess these assets. Personal guarantee: Personal guarantees expose you to liability in the event your business defaults. If your business is fully liquidated, and the sale proceeds aren’t enough to cover your business debts, those lenders can demand that you cover the difference with your personal assets. For many small business owners across the country, personal finances may become entangled with business finances. This adds an extra layer of risk if the business defaults. While equity investors and lenders both expect to receive their money back, lenders often have the right to enforce that outcome in court. Always understand what you’re putting on the line when obtaining a secured loan. How much equity should I give away? Equity is the claim to ownership in your business. If you run a sole proprietorship or partnership, this consists of any money you and your partners sink into the business. This can also include any invested capital from investors that was given in exchange for ownership. In any case, contributors to equity have claim to a portion of your business and are entitled to share in its profits. Initial invested equity may be all that you need to fund small startups in the short run, but as your business grows, you will inevitably need additional funding to scale your operations. While you may be tempted to keep your operations small, forgoing profitable opportunities will severely restrict your ability to grow. In some cases, your business will lack expertise outside the purview of its existing partners. A brewery may need a marketing expert, while an e-commerce site may need a web developer. New partners free up your time so you can focus on other things. Getting partners to buy into your business can be both a welcome capital infusion and an added boost in manpower, connections, and expertise. Equity funding is not without its pitfalls, as many “Shark Tank” viewers are aware. Most equity investors understand that startup investments may take years to pay off, and some investors will take a personal interest in your operations. For this reason, equity financing often comes with strings attached. We list some common drawbacks below. When considering equity financing, you will need to decide whether you’re ready to give up a portion of your business in exchange for funding and expertise. Equity financing is a popular method of funding among many startups. According to the National Venture Capital Association, U.S. venture capitalists invested $84 billion across 8,076 deals in 2017 alone. Equity ownership can be viewed as a pie that can only be sliced in so many ways. A sole proprietor typically owns 100% of the pie, while partnerships may cut it up into proportionate slices for each partner. Once you already have a few partners, further subdivision will result in a smaller share of the profits for each member. Removing investors requires buyouts, which can cost more than the original funding provided. This makes repeated equity financing an expensive way to raise capital. Equity investors may also demand dividend payouts when those funds might be better invested elsewhere. This is a common requirement of private-equity investors. These investors may not always have your business’s long-term strategic interests in mind. They may prefer short-term profits to long-term growth, and their views may clash with your own. In summary, unless your business is growing at a breakneck pace, too many equity investors in a short period of time will dilute any returns you receive. This is a particular problem for small businesses where it’s difficult to scale. In these cases, you may wish to limit the amount of equity financing you undertake. Continuing our pie analogy, selling equity to outside investors and additional partners means giving up ownership in your business. In many cases, this means signing up a new managing partner with all the accompanying personality quirks. On the one hand, new partners can provide expertise and insight into areas where you’re not well-versed; on the other hand, this comes with all the complications of adding another cook to the kitchen. New partners may have a vision for your company that diverges from your own, and if you give away enough slices of the pie, they may be able to do something about it. A well-known example of this is the story of Richard and Maurice McDonald, founders of the original McDonald’s restaurant. Beginning in 1953, the McDonald’s brothers franchised their wildly successful restaurant to six separate locations across California. Their original view was to keep the McDonald’s franchise limited to a small but manageable number of restaurants. But this all changed when the McDonald brothers partnered with Ray Kroc, a traveling salesman and entrepreneur. By 1960, Ray Kroc expanded the franchise to more than 200 restaurants; this was deeply at odds with what the McDonald brothers had originally envisioned. To push his vision of what the McDonald’s franchise should be, Ray Kroc bought the McDonald brothers out of their franchise for a sum of $2.7 million ($22.336 million in 2018 dollars) on the condition that the brothers be allowed to keep their original location. However, this was not to be. In the years following the buyout, the original San Bernardino, California, location for McDonald’s was forced to change its name because the McDonald brothers had failed to retain the rights. Ray Kroc eventually opened a competing McDonald’s restaurant across the street, which ran the original branch out of business. While this might be an extreme example, strategic views on business often diverge. Bringing partners into your business will require you to consult with them before you make decisions. If you’re not the type of person who likes to share authority, you may wish to limit the portion of your business financed by outside equity. Like all economics relationships, running a small business entails a series of trade-offs. Your operations may be on a smaller scale than McDonald’s, but the underlying financing decisions are similar. Increase your business’s debt burden and you increase its capacity to grow. Expand your business’s equity and you increase its human capital, which gives it the expertise to run efficiently and expand. Venture too far into either territory without forethought, and you could jeopardize your business’s foundations. Let the numbers, industry, and your own business intuition tell you what the best balance is for your business, and your customers will be the better for it. Rebecca Wessell leads the small business section at ValuePenguin, a personal and business finance website. Prior to joining ValuePenguin, she was a consultant at Ernst & Young, advising some of the world's largest financial institutions on business strategy.